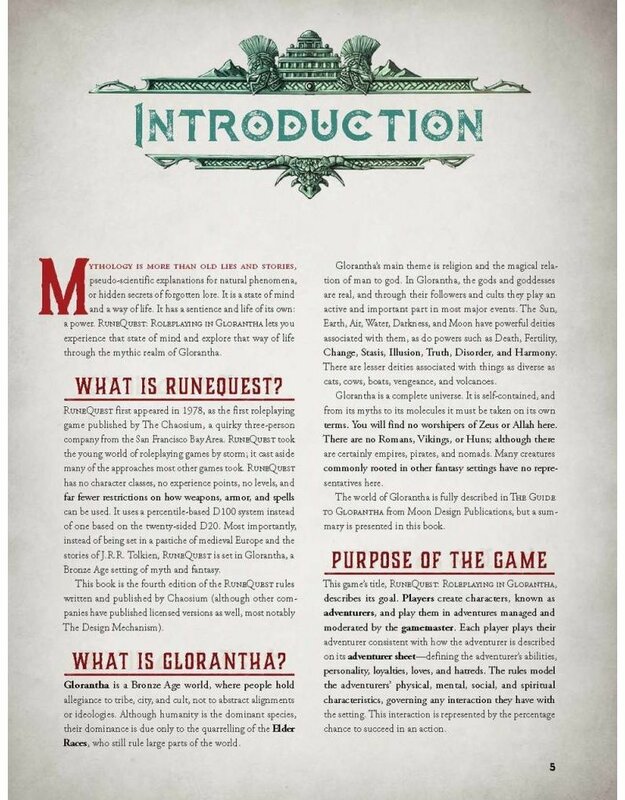 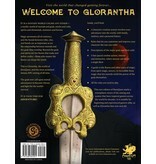 RuneQuest: Roleplaying in Glorantha is an all-new edition of one of the world’s most influential and acclaimed fantasy roleplaying games. 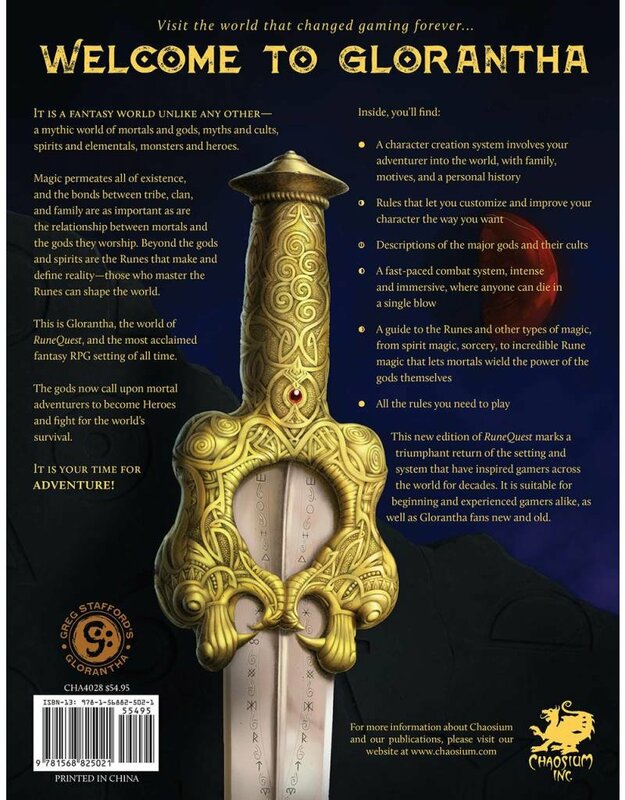 First appearing almost 40 years ago, RuneQuest is as dynamic and vital as ever. 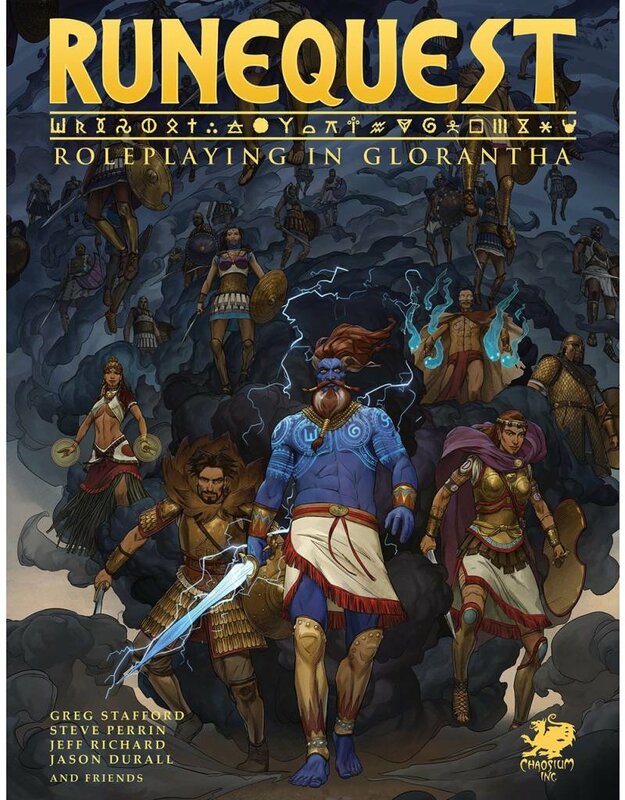 This all-new, deluxe edition introduces RuneQuest and its setting of Glorantha to new players everywhere. 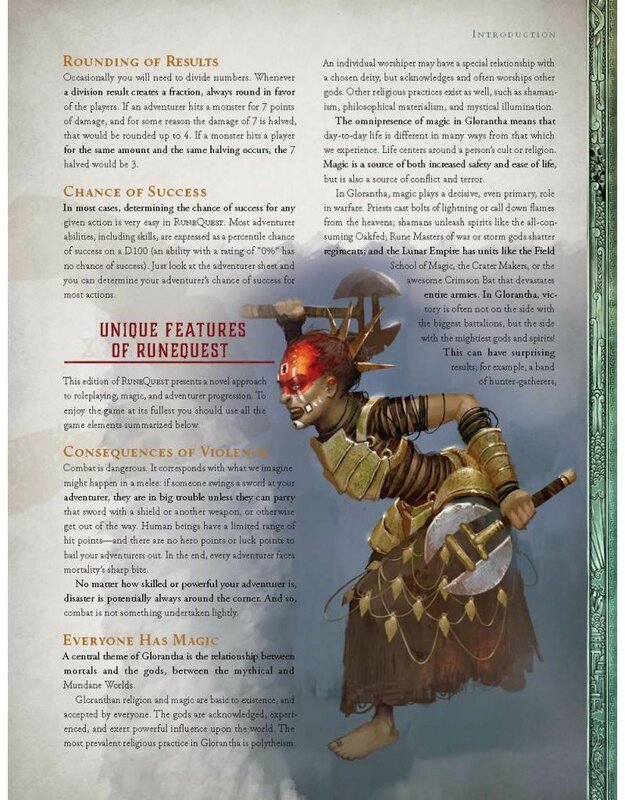 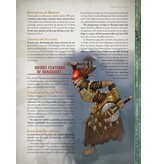 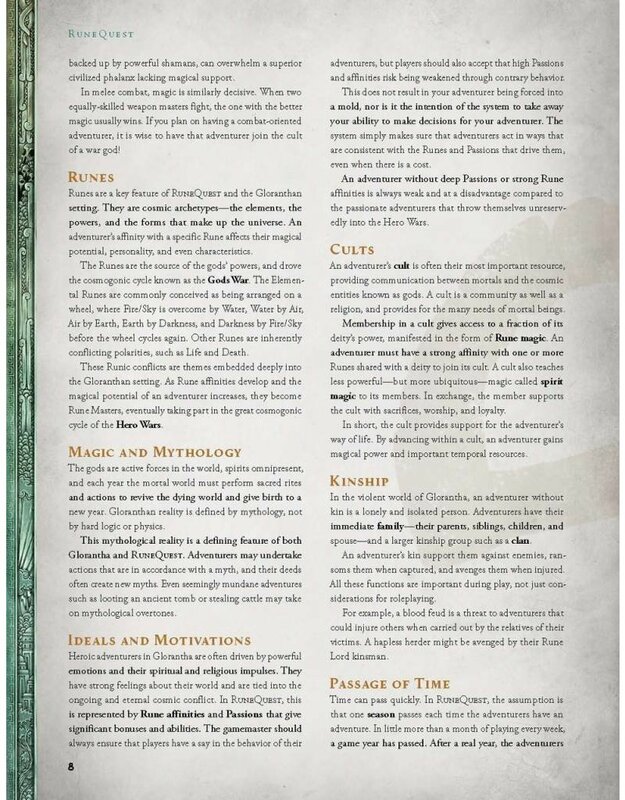 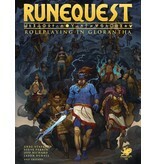 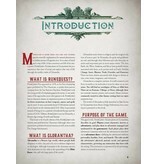 The core rules of RuneQuest are essential for players and gamemasters, as they contain all the rules for character creation, starting homelands, background history, professions, skills, starting Runes and magic, and the cults and gods whose influence will define your character’s activities. 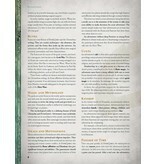 Further, the rules for character advancement are contained here, for the times between adventures.